Grandfather-of-three Nick Cook came across a wooden shield from his former Harrogate prep school during a clear out of his house. Now living in the south of France, Mr Cook decided that, rather than throw his old school plaque away, he would try and track down his former school and return a small piece of history to its walls. Former Duchy schools Grosvenor House, a boys prep school, merged with Belmont Birklands, a girls school, almost 20 years ago to form ‘outstanding’ Harrogate independent school Belmont Grosvenor. 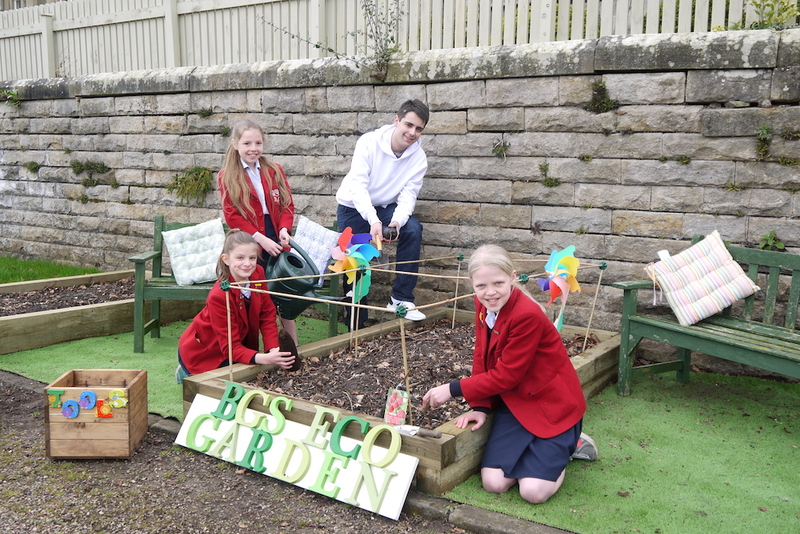 Now based at Swarcliffe Hall, Birstwith, Harrogate, the school welcomes boys and girls from three months to 11 years and is set in 20-acres of grounds. Mr Cook sent a tentative email to the Headmistress at Belmont Grosvenor to check if he had located his former school – and after receiving a resounding yes to his question, he popped the plaque in the post from his home near Perpignan in south-west France to Harrogate. The wooden plaque now takes pride of place in the entrance hall at the Harrogate independent school – a reminder of its educational heritage. “I have wonderful memories of my happy time at Grosvenor House School, both as a day boy and boarder. 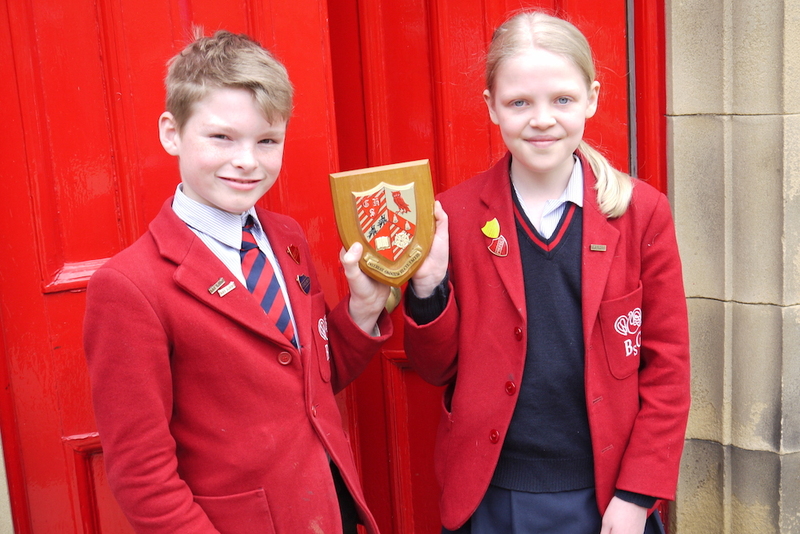 It looks and sounds like BGS is a super school – I’m so delighted to be able to return this plaque and that it is back at home,” said Mr Cook. Crediting his life-long love of learning with his years at Grosvenor House, Mr Cook was a pupil in the late 1950s, under the Headmastership of Mr Thompson. He has many fond memories of his English teacher Mr Horne and remembers fondly the annual spelling competition. “Everyone took part – from the oldest pupils to the youngest pupils – and the winners would receive book tokens. We would go from room to room in the competition, doing spellings that were appropriate to the age of the class we were in. Everyone was a top class speller!” he said. Belmont Grosvenor School Headmistress Mrs Sophia Ashworth Jones said she was delighted to have a small piece of the school’s heritage returned in such an interesting, well-travelled way. “Thank you so much to Mr Cook for sending his plaque to us here at Belmont Grosvenor School – we are extremely proud of our history. “We know that here at Belmont Grosvenor, as Mr Cook experienced at Grosvenor House, we instill a lifelong love of learning in all of our pupils, from the youngest boys and girls in our nursery to the oldest in Year 6 as they move on to the secondary school of their choice,” said Mrs Ashworth Jones. Every day at Belmont Grosvenor School is an open day – for more information or to arrange a tour, visit www.belmontgrosvenor.co.ukor call 01423 771029.